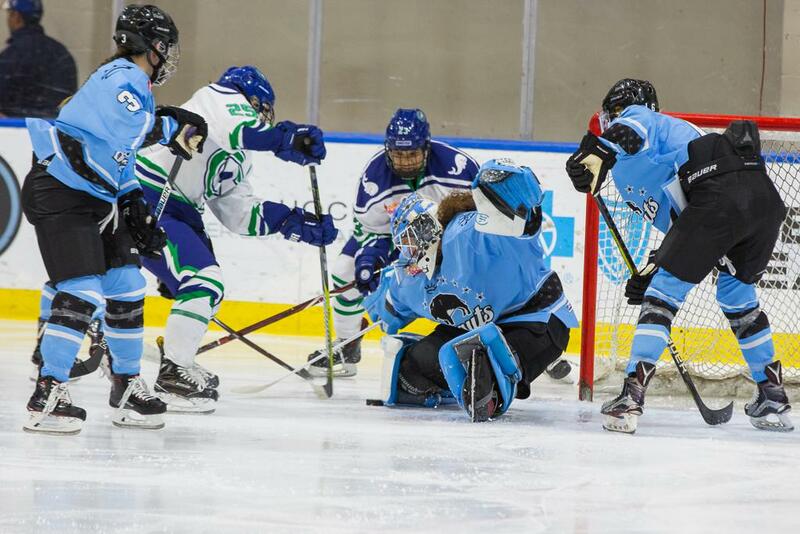 Behind their dynamic offense and a brilliant NWHL debut from three-time Olympian Shannon Szabados in goal, the Buffalo Beauts enthralled the home crowd at HarborCenter today with a 7-0 victory of the Connecticut Whale. It is the first time in franchise history that the Beauts have recorded back-to-back shutouts, while the 2-0 opening to the season is also the best start in the team’s history. 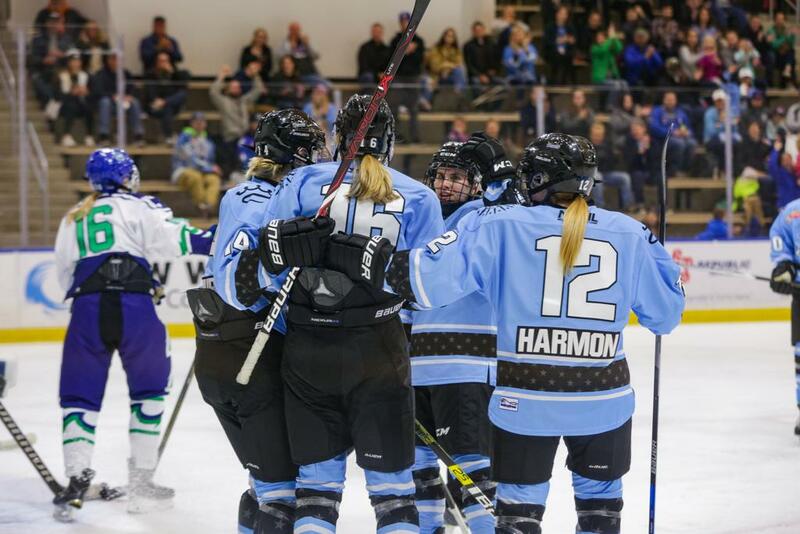 Beauts rookie defender Savannah Harmon opened the scoring at 9:06 of the first period off a feed from Dani Cameranesi. The tally was Harmon's first goal of her professional career. "Dani made a really great pass,” said Harmon. “I just tried to go upstairs, and it went in. Took me a second to realize before it was in. Super pumped to get my first." The second period seemed to calm down between the two squads. The Whale looked more relaxed and there was no definitive separation between the two teams for the first half of the second period. That would change midway through the period when Buffalo forward Maddie Elia jammed a puck through Räisänen's pads that trickled over the goal line. Hayley Scamurra picked up the assist on the goal. For the line of Elia, Scamurra and Cameranesi, it was the trio's 11th point in only two games. At the close of the second period the shot totals were 24 for the Beauts and 13 for the Whale. Szabados made a phenomenal save with less than a second on the clock, coming out to challenge the shooter and to close up space. Within the first few minutes of the third the Whale came out with solid pressure, but Szabados continued to keep them at bay. Another Beauts rookie would score 42 seconds later. Annika Zalewski wired a shot by Whale goaltender Meeri Räisänen. Zalewski attributed the Beauts’ large offensive output on the day to having solid defense from the goal on outward. "It's obvious that we have a really solid defense," Zalewski said. "Starting with the goalies, and then moving up right through the defensemen and the forwards. We want to be good in our D-zone, and then play as much in the offensive zone as we can." The Beauts added goals in the third by Lisa Chesson, Scamurra, rookie and Eden, N.Y. native Julianna Iafallo, and original NWHLer Corinne Buie. With the game ending 7-0, Szabados had not only her first career NWHL victory but her first shutout as well. The legendary netminder stopped all 22 shots that Connecticut sent her way. "It was awesome," said Szabados. "I was looking forward to this day for a while. Had it marked on the calendar. The crowd was amazing, so it didn't make it too hard to get into the game. Obviously, the girls played well in front of me." The Beauts next games are on the road against the Minnesota Whitecaps on Oct. 27 and 28, while the Whale look for their first win next Saturday night in Boston against the Pride. Unsung Hero: Lisa Chesson, two assists and usual steady play. Third Star: Dani Cameranesi with two assists. She now has four helpers in two games. Second Star: Annika Zalewski with two goals. First Star: Shannon Szabados (G) whitewashed the Whale for 22 shots, including nine in the third. Made some true showstoppers.